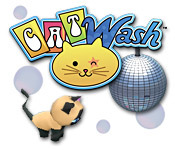 Go where all the cool cats go to get clean, Cat Wash! Boogie down in this Time Management game through fun levels full of disco and dance music. When customers drop off their muddy pets, it’s your job to clean ‘em up using the incredible Feline Wash-o-Matic! Keep your feline clientele happy as you groom them to perfection. 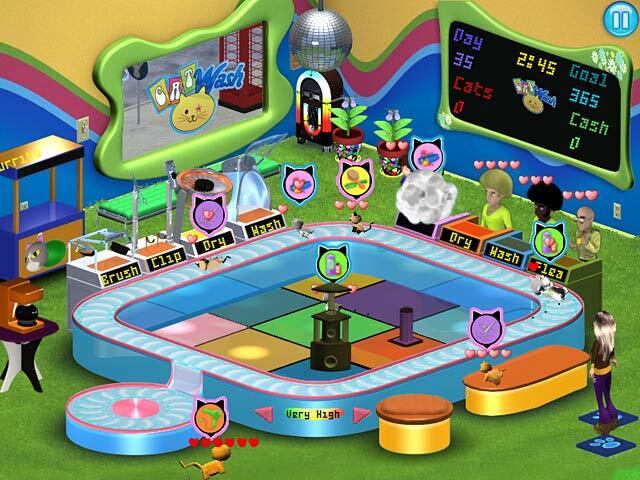 Play through entertaining cat-themed minigames and earn the cash needed to buy new equipment for the shop, even a far-out disco ball! 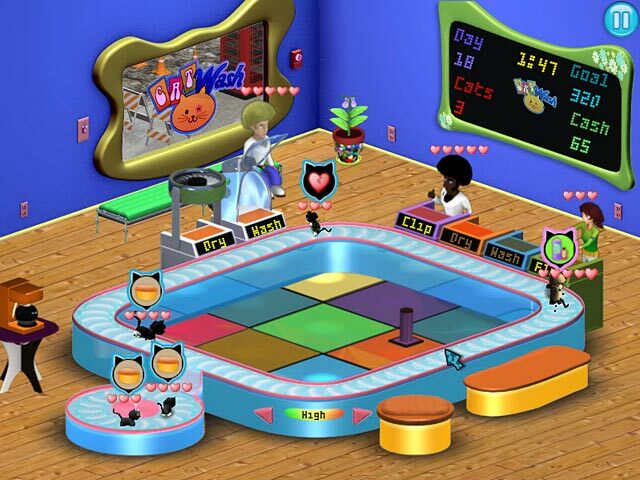 Cat Wash is rated 3.5 out of 5 by 4. Rated 5 out of 5 by jennykan from Very cute game This game is such as good game for me. It is so hard to find a cat game. I love cats. Those cats are so cute. I can see many different kind of cats. Rated 4 out of 5 by GothicJawa from Good Fun Maybe I'm just a crazy cat lady but I quite enjoyed this game. The idea is cute and fun. 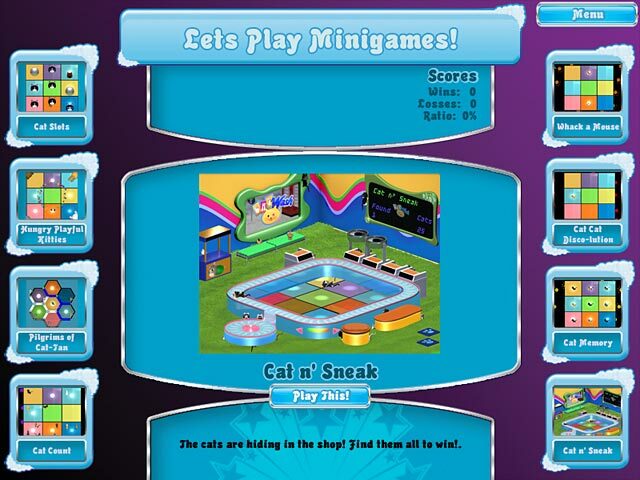 It lacks a little in the challenge but overall it's a good TM game with a cute concept. Rated 3 out of 5 by JTYorke14 from Great game for Cat lovers! This wasn't the best game I've played to date, but I will say that it was entertaining. With the different levels and challenging appeals, I felt it just wasn't challenging enough for me. I enjoyed the graphics and the music, but it needs a few changes here and there. Keep it up! Rated 2 out of 5 by Seaotterz from uh no I couldn't stand to keep playing this for more than a couple rounds. Maybe this somehow gets better later on, maybe the music changes and the super-annoying 70s style comments change, and maybe the gameplay gets more challenging and maybe the whole premise changes, and and and ... maybe it becomes a whole different game. I didn't want to stick around to find out.